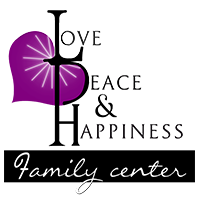 Love, Peace & Happiness Family Christian Fellowship Center is a progressive, family oriented church of small groups committed to serving multi-generations and cultures in the city of Rialto and throughout the world, by developing disciples who demonstrate the Kingdom of God. Win Souls and Make Disciples to produce Kingdom results within the family, city, and the world. To Be A Church of Purpose, Power, Praise, Evangelism, and Fellowship. Purpose: A Church thriving in an Excellent manner Power- A Church empowered by the Holy Spirit to do great exploits in our city, nation and the world in a relevant way. Praise: A Church with an intimate relationship and experience with God through Intense praise & worship where lives are a reflection of God’s glory during our time in his presence. Evangelism: A church that demonstrates God’s love in tangible ways and shares their faith. Allowing Our Actions To Speak Louder Than Our Words. Fellowship: A Church family working together to build people and restore relationships through small groups, retreats, conferences, and special events. Purpose: To connect with people and lead them into a personal and growing relationship with Jesus Christ while encouraging and equipping them to Reach Up, Reach In, and Reach Out. How to Reach Up, Reach In & Reach Out! Reach Up Receiving God’s power, wisdom and instruction to be effective. Reach In Being Compassionate about Meeting Needs, healing hurts and touching lives. Reach Out Telling the world of God’s love and His plan for their lives. Every Member is a Minister . God is honored in Excellence (not perfection). Be the best you can with what you have! The Message will never change, but the methods must. Committed to growing larger and smaller at the same time. Focusing on the things that unite us, not the things that divide us.